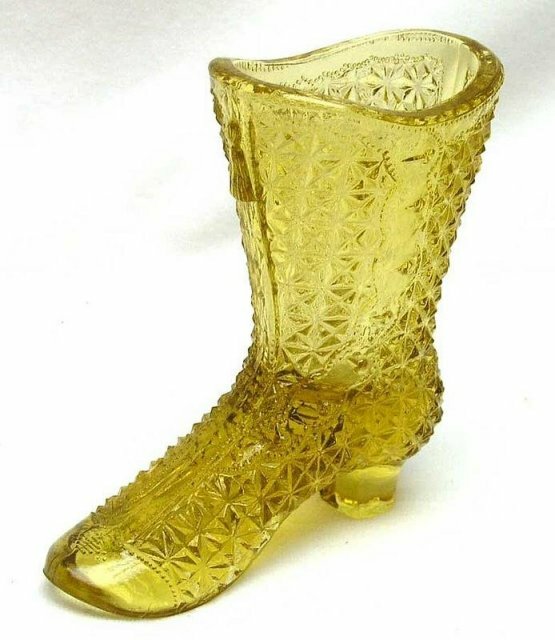 Mosser122 Glass Co. amber glass boot in the Fine Cut pattern - has hollow toe and solid heel with tassel on front and side buttons. It measures 4 1/8" long and 4 1/8" tall - has no chips. 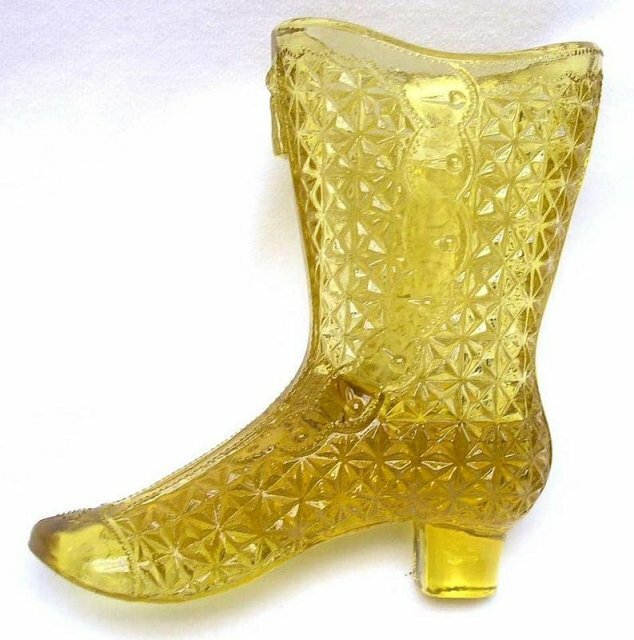 Items Similar To "Mosser Glass Co. Amber Fine Cut Glass Boot"